In the year 1894 our great grandfather owned two caves (in Greek “Canava”) which he used for the first process of making wine, meaning treading grapes. He even carved his signature on the wall of the main cave to be remembered by. As the years went by they passed on to the next generation and the next……We started to rebuild the two caves and eventually created a complex of traditional houses that are built strictly according to the architecture of the island. Today it answers to the name ATRINA CANAVA 1894 traditional houses. Our houses vary in size from 40 to 90 sq.meters. Volcano rocks create the external structure of the houses, giving the pool area a spectacular look and surround the whole compound creating the natural look of Santorini. Entering our facility you will find a breathtaking view with the whole island of Santorini lying before you and the stunning volcano gazing at you. 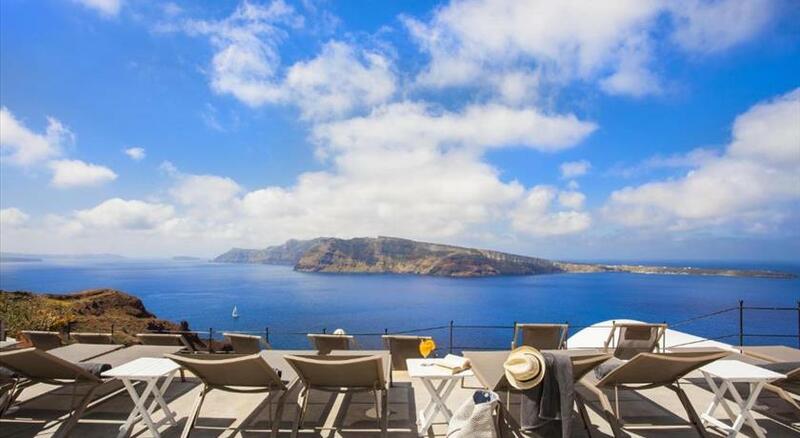 Housed in a former estate of the turn of the century, the Cycladic-style Atrina Canava 1894 is carved into the volcanic rock in the charming village of Oia . 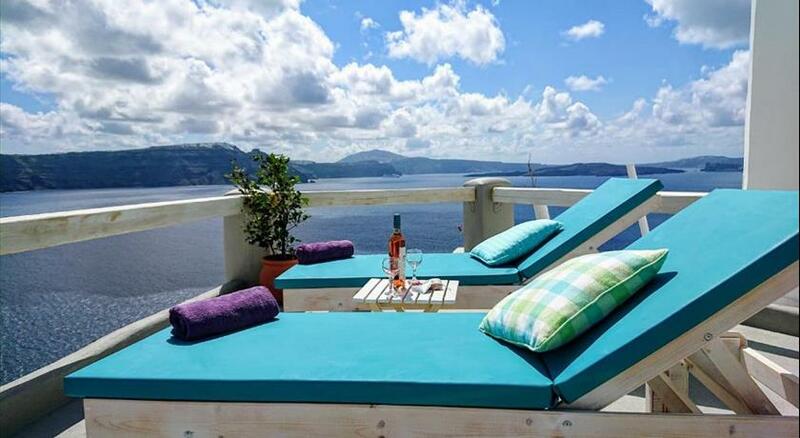 Its stylish, self-catering units enjoy spectacular volcano and sea views . It offers a pool and poolside snack bar. 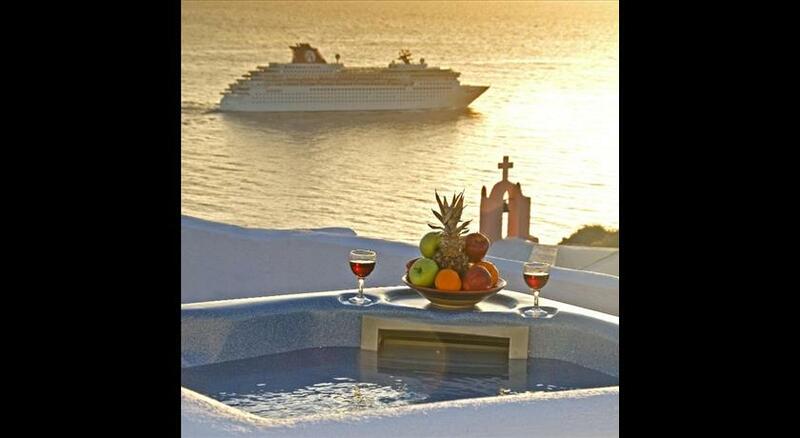 The accommodation types of Atrina follow the simple, yet elegant style of Santorini . They all include a well-equipped kitchenette with dining area and a living area with satellite LCD TV. The private bathroom is stocked with cosmetics, bathrobes and slippers. Guests can enjoy refreshing drinks, coffees and cocktails by the pool, while 24-hour pool bar service is available. Continental breakfast can be enjoyed in the room. Within walking distance, guests will also find traditional taverns, restaurants and cafes. 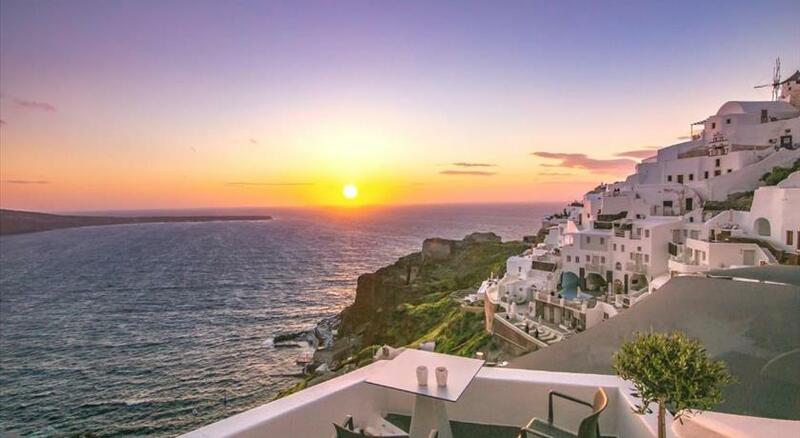 The lively town of Fira is 12 km away from Atrina Canava 1894. Santorini Airport is 18 km away and Athinios Port is at 20 km. Free WiFi is available throughout the property and free parking can be found nearby. Taken from a drone fly over that shows the hotel from above. Atrina Canava 1894 is located in Oia's caldera. Children cannot be accommodated at the hotel. All further adults are charged EUR 100 per night for extra beds. The maximum number of extra beds in a room is 1. -due to the location of the property and the architecture of the property, there are steep steps with no rails, no elevator and low balconies. As a result, it is not suitable for guests with mobility issues. -mobile phones are supplied to each unit upon request. -additional fees are not calculated automatically in the total cost and will have to be paid for separately during your stay.